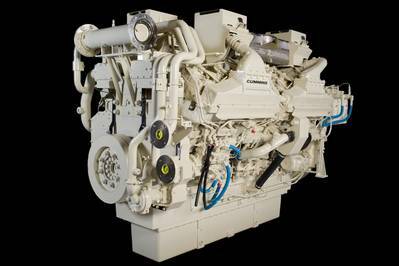 Cummins brings its U.S. EPA Tier 3 certified new QSK19 & QSK60 marine diesel engines to market. Cummins Tier 3 solutions apply advanced combustion technology to reduce emissions in-cylinder without the need for aftertreatment. The company predict that these engines will serve as the platform for future, more stringent emissions in the U.S. and globally. engines between 3.5 and 7.0 liters per cylinder and continues through 2014. The QSK60 is the only engine in Cummins marine portfolio requiring EPA Tier 3 certification in 2012; the QSK19 is not required to meet EPA Tier 3 until January 1, 2013.